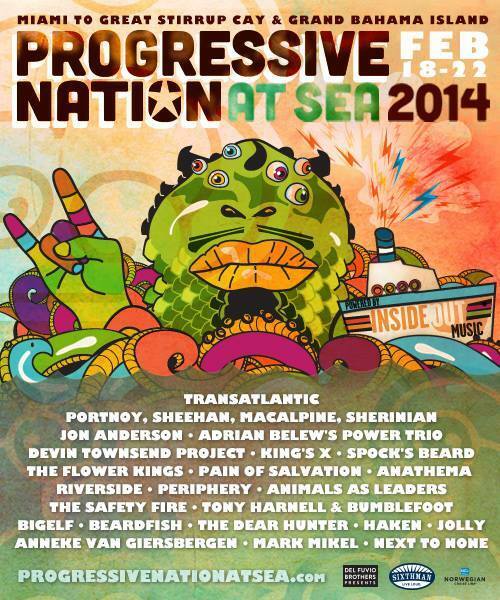 This music festival at sea gives music fans an experience that a land festival just can’t match. In addition to 4 days in the beautiful Caribbean, guest will have the opportunity to see their favorite musical heroes perform numerous sets around the many stages set around Norwegian Pearl. And when guests are not attending a performance, a variety of activities hosted by the artists will fill the day. With 15 decks of fun, Norwegian Pearl offers guests access to 13 bars and lounges, 19 dining experiences, one outdoor pool, four hot tubs, and spa treatments to help forget about the world left behind. Onboard concerts aren’t the only things that rock on Norwegian Pearl - passengers looking for more activities can visit the outdoor climbing wall, bowl a few frames at the onboard lanes, or tempt lady luck at The Pearl Club Casino. Progressive Nation cruisers will also have the opportunity to explore the sandy beaches of Great Stirrup Cay, Bahamas, their very own private island getaway. A host of beachside activities and games, the gigantic “Hippo” water slide, and access to food and beverage service will make the stay on Great Stirrup Cay an unforgettable experience.